Are you tired of struggling with ill-fitting dentures? 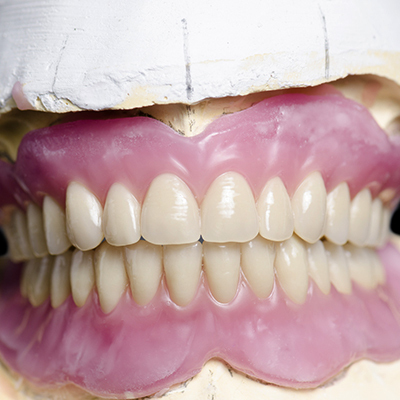 While traditional (removable) dentures have come a long way in recent decades, it is still difficult for some patients to find a comfortable and reliable fit. Dentures that slip out of place easily can pose a major threat to your well-being as well as your quality of life. At ConfiDenT, we offer modern ways to improve the stability of your dentures using dental implants. Implant-supported dentures, also called overdentures, are considered an ideal dental treatment for patients who need to replace a full arch of teeth and want to remain confident in their everyday life. Unlike traditional dentures that rely on denture adhesives to stay in place, implant supported dentures are secured with a series of dental implants. The implants are surgically placed into the jawbone to firmly anchor your denture just like a tooth root. This is a key advantage, as you can trust that an implant supported denture won’t slide or slip when eating, speaking or laughing. At ConfiDenT, we proudly offer the latest options in implant dentures, including the All-on-4 implant system that allows us to complete your overdentures in a single day! Dietary freedom. You won’t have to avoid the foods you love or the fiber-rich fruits and vegetables that are harder to chew but critical to your long-term health. Convenience. They can be cared for just like natural teeth, without the need for messy adhesive creams or special cleaning regimes at night. Overall, patients find that this type of denture is the closest replica to real teeth that is available. Bone Loss Prevention. Since dental implants are used to support the denture, your jawbone can receive the stimulation it needs to retain its density and form. Patients who wear traditional dentures may experience bone loss over time, which can impact the way you look and cause premature facial aging. 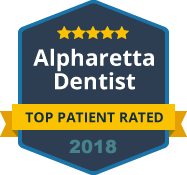 To learn if you qualify for implant dentures from ConfiDenT, please contact our Alpharetta office. We look forward to rebuilding your smile with the best that modern dentistry has to offer.